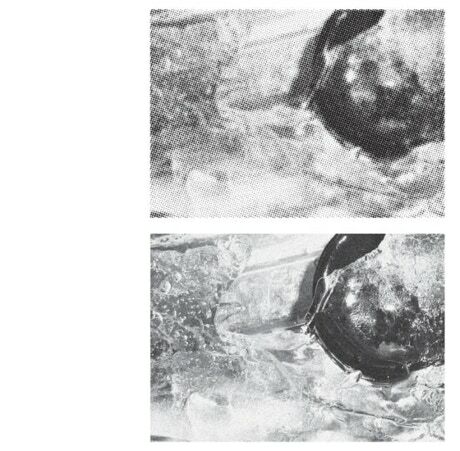 This cdr, it&apos;s simply what its title says : a recording of freezing a microphone (hydrophone - inside a water bag). From the liquid state to the ice state, the original recording is 3 hours long, this release presents in around 40 minutes, 4 selections : from after 20 minutes to after 180 minutes. Nothing more, pure source recording. Assembled and mastered at Shiver Mobile in 2012. "Francisco Meirino has the most conceptual recording here, at least judging by the title and the text on the cover. I assuming that the four pieces mentioned on the cover, &apos;after 20 minutes (water)&apos;, &apos;after 60 minutes&apos;, &apos;after 120 minutes&apos; and &apos;after 180 minutes (ice)&apos; reflect the various stages of freezing a mic, as the title promises us. Here we are dealing with four very quiet pieces of sound, but more of a static nature, with hardly any movement at all, or distraction from outside. Minimalist and conceptual, but also a fascinating release."